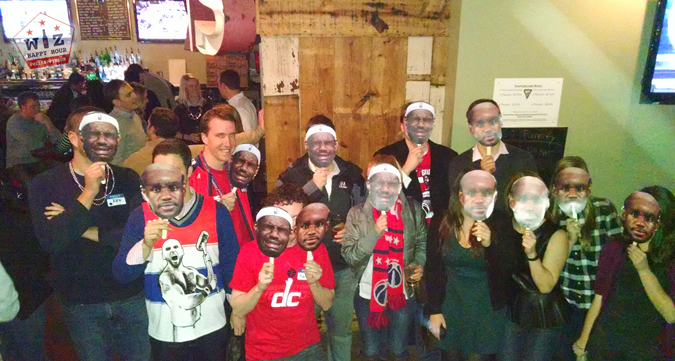 Our biggest event of the season so far brought us back to Iron Horse who partnered with us to bring you the "Boo Lebron Happy Hour". 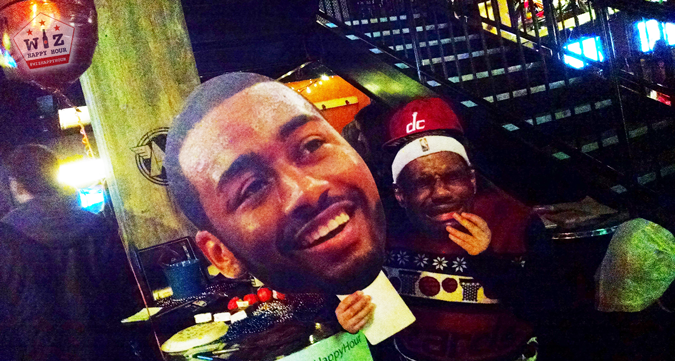 With Wizards fan nemesis Lebron James and the Cleveland Cavaliers in town we stuck it to Lebron with some high quality trolling before the Wizards stuck it to Lebron with some high quality winning. 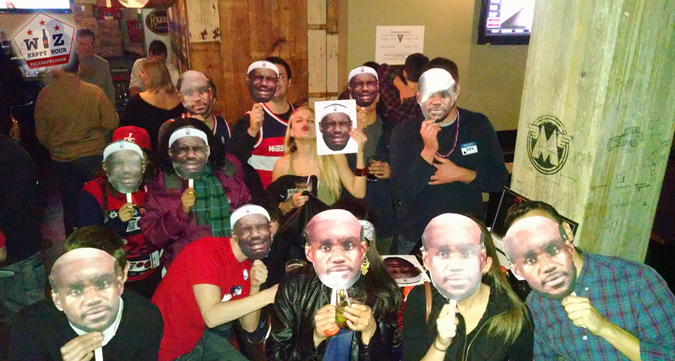 Lebron bashing included giving away free tissues to anyone wearing a Lebron jersey and taking a few group selfies utilizing "bald Lebron" and "crybaby Lebron" big head masks. 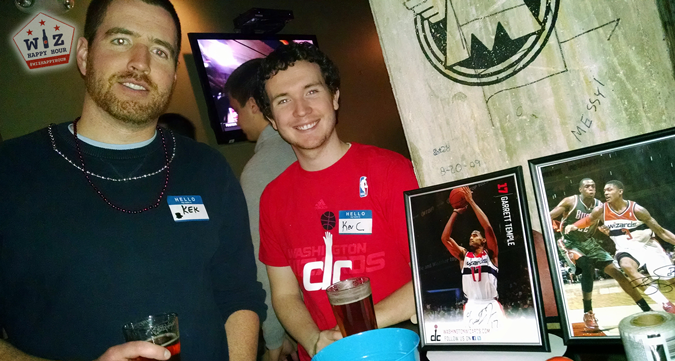 We also had a table set up with beads, free Lebron faces to bring into the arena, and we even gave away a Bradley Beal autographed photo (Photos). 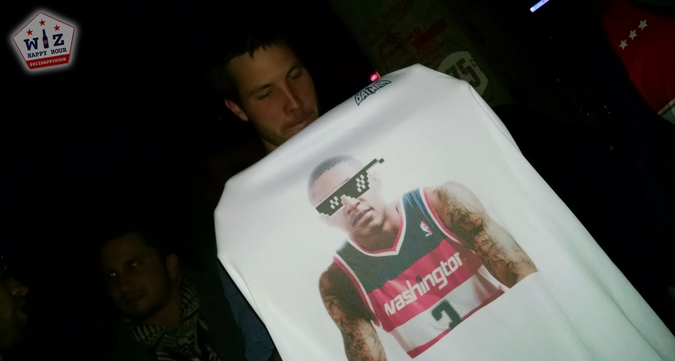 This was definitely a legendary pregame Wiz Happy Hour. 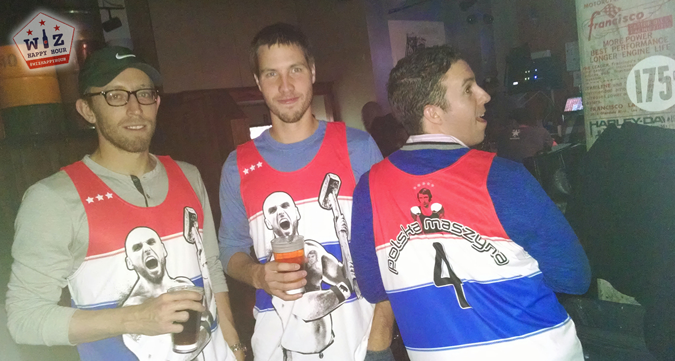 Iron Horse was the perfect location for this event, mostly because as we already knew the happy hour runs until 8pm. 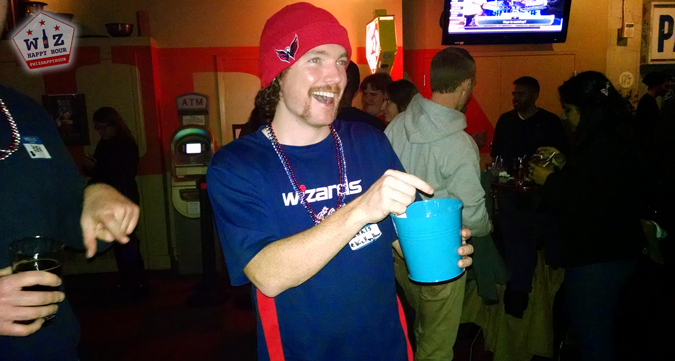 And it just so happened the Wizards game was on national TV and started at 8pm. Bam! 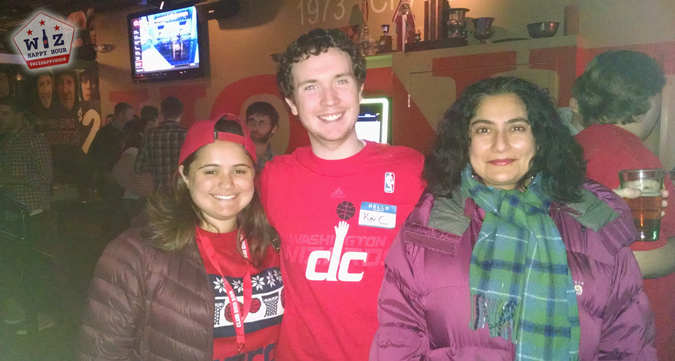 And as you can see, just about the entire bar was behind our cause! We passed out over 30 masks for people to bring into the game, and a few people raved about how it was a huge hit in their sections. 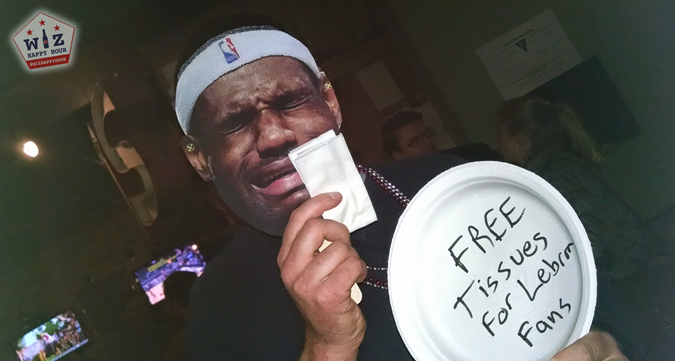 Note: While we did offer, nobody took us up on our free tissues for Lebron fans. Lol. 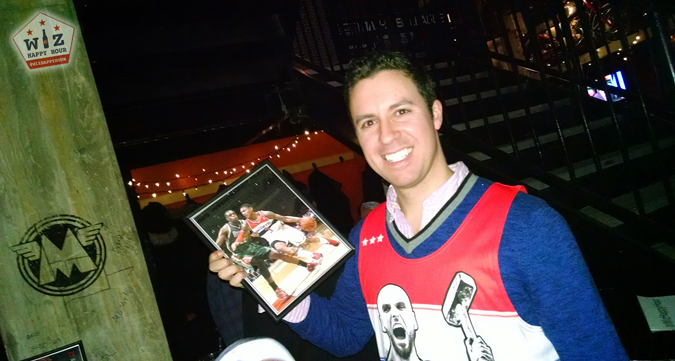 Also we looked around and couldn't find a single Lebron jersey in the whole bar. Things are way different from what they used to be. 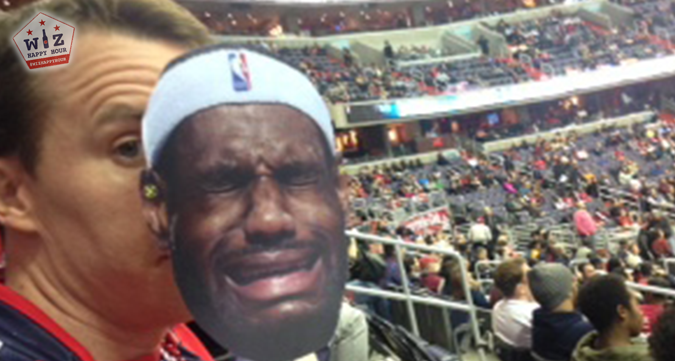 The Wizards game was packed with Wiz fans and you could barely hear anyone cheering for Lebron. 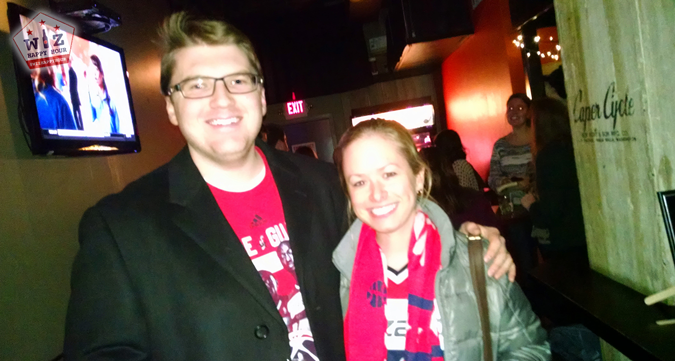 It helped that the Wiz stuck it to the Cavs and took home a huge win. We look forward to doing a lot more fun trolling activities like these. Hope you can join us. See you out there & Go Wiz!